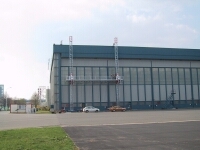 Recycling plant type LRT 422 for company Zapa beton a.s. in Prostějov. 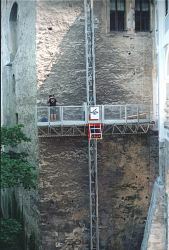 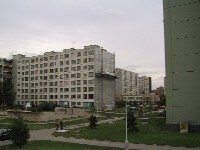 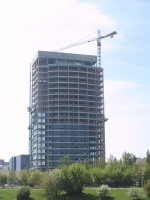 Putting in operation in November 2008. 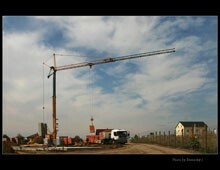 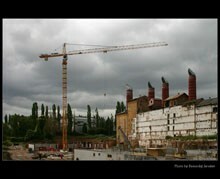 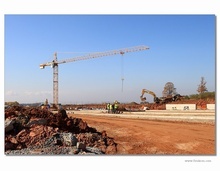 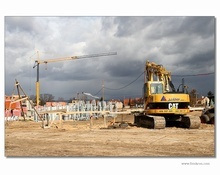 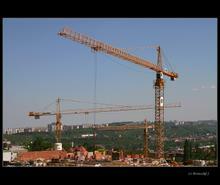 Our company erected and put into operation tower crane Liebherr 201 HC in June 2008. 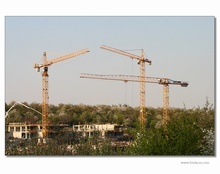 Subject crane should speed up and make easier the manipulation process with tower sections during the loading, unloading and storage in Kranimex premises. 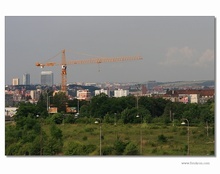 Tower Crane Liebherr 112 EC-H - Central Park - Prague 3, Žižkov - height under hook 84 m! 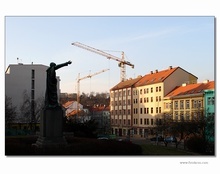 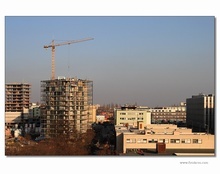 Building site „ECM – Hotel letiště Praha – Ruzyně“ - crane Liebherr 112 EC-B8 from the new series without tower head section and tower cranes Liebherr 80 LC and 100 LC. 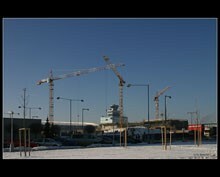 Tower cranes Liebherr 110 EC-B from the new crane series and Liebherr 180 EC-H - building site „PALAC TĚŠNOV“, Prague 8. 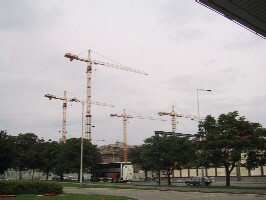 Tower cranes Liebherr 280 EC-H, 180 EC-H and 112 EC-H – project „Bytový soubor NA HANSPAULCE, Prague 6“. 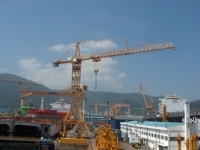 Liebherr-Werk Biberach GmbH has been awarded an order to supply two large cranes by Daewoo-Shipbuilding & Marine Engineering Co., Ltd. (South Korea). 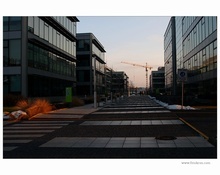 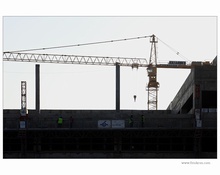 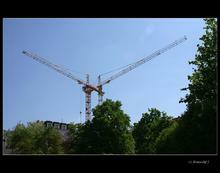 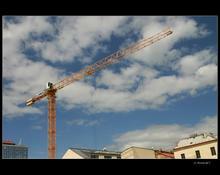 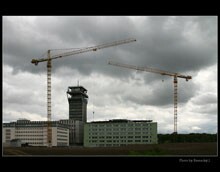 Libherr tower cranes: 180 EC-H, 280 EC-H, 100 LC, 30 LC, 256 HC. 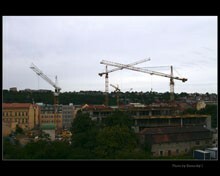 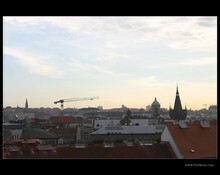 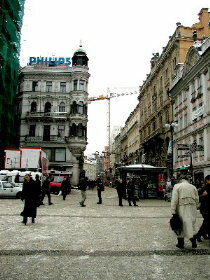 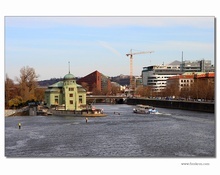 Demo - action of fast-erecting crane Liebherr 20 H in Prague - Strasnice - 19.10.2004. 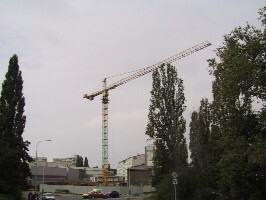 Fast - erecting crane Liebherr 32 TT. 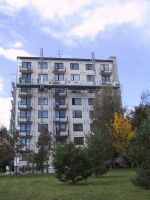 V Praze 5 na Smichove jsme na stavbe ABC - Hotel Zlaty Andel namontovali pro firmu SIPRAL a.s. 2 ks pracovnich plosin HEK MSM Super twin Megadeck a 3 ks HEK MSM Super single. 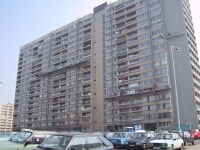 Plosiny slouzi pro instalaci nove sklenene fasady na tomto objektu.